This certificate offers you the chance to explore ideas about social care and social work – using case studies with children, older people, mental health communities, children with disabilities and people with learning disabilities to apply learning to practice contexts. Students in Northern Ireland and the Republic of Ireland can register onto the CertHE in Social Care (England) or (Scotland). Although it is not a requirement to be working in social care to study for this certificate, it is popular among employers as a way of achieving a consistent learning and development approach for social care support staff. The module Foundations for social work practice includes practical experience of working in social care and prospective students in England, Scotland and Northern Ireland who are not already working in a social care environment will need to arrange a suitable placement of at least 10 days; please refer to our Advice about practice experience for more information. The practice experience arrangements in Wales are slightly different; to find out more about how this is managed or for information about the Social Services Practitioner Programme please contact The OU in Wales. 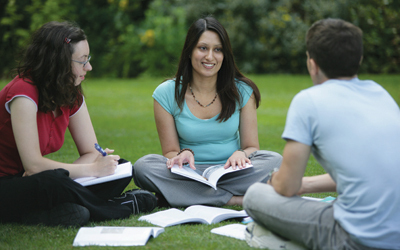 If you are interested in continuing to a social work qualification, please note that the certificate does not give automatic entry to the social work degree – this requires you to attend an interview and has specific entry requirements including working in a social care setting and meeting minimum academic criteria. However if you do subsequently gain entry to the degree programme, you'll be able to count the certificate towards your degree.